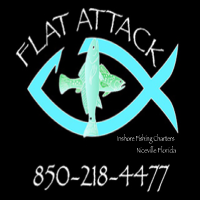 Flat Attack Charters is an inshore guide service that is geared towards trout, redfish and a good time. We may venture into the Gulf on occasion. Here at Yella Dog Guide Service, our main goal is to kill ducks, and lots of them! We offer a variety of hunt styles with multiple destinations for waterfowlers to experience a quality and comfortable hunt. Whether you’re looking to kill Redheads on the coast, Wood Ducks in the timber, or big Canada Geese and Mallards over dry fields, we have you covered!